For some of your professional stationery, you may wish to consider additional finishing touches. These are ideal for special announcements and invitations. We round off each of the four corners of your cards. This is sometimes applied to business cards to add a softness to the design. 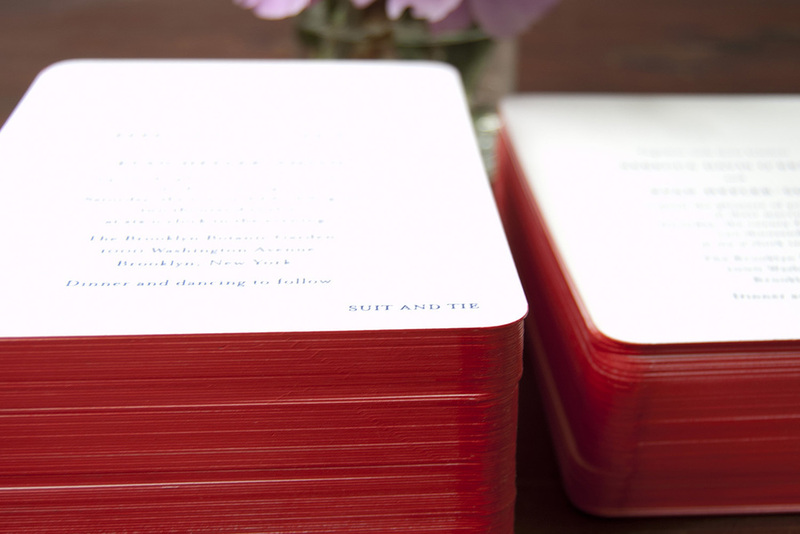 Rich pigment is added to the edges of your stationery. You can choose a color that is featured on your design itself or choose a bright contrasting hue for a subtle pop of color. Each of your envelopes is lined in tissue or colored paper. 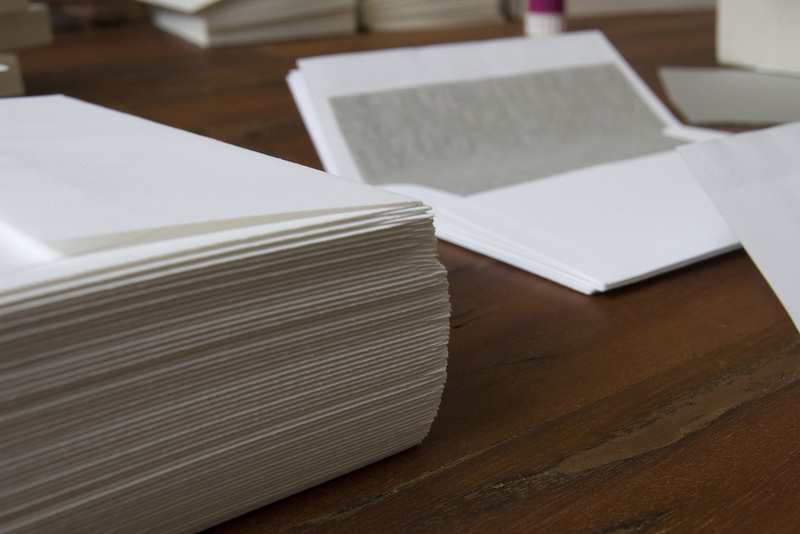 We do this by hand and it adds another layer of luxury to printed announcements. We can even design a bespoke liner for your envelopes which features your organization’s logo or colors.